The kit also includes two cowl patterns--one knit and one crochet. Although we've had some teasing days, Spring is still a little ways away for those of us in the North East, so a cowl is still an accessory to grab when heading out the door. In addition, you also receive exclusive coupon codes and discount offers. 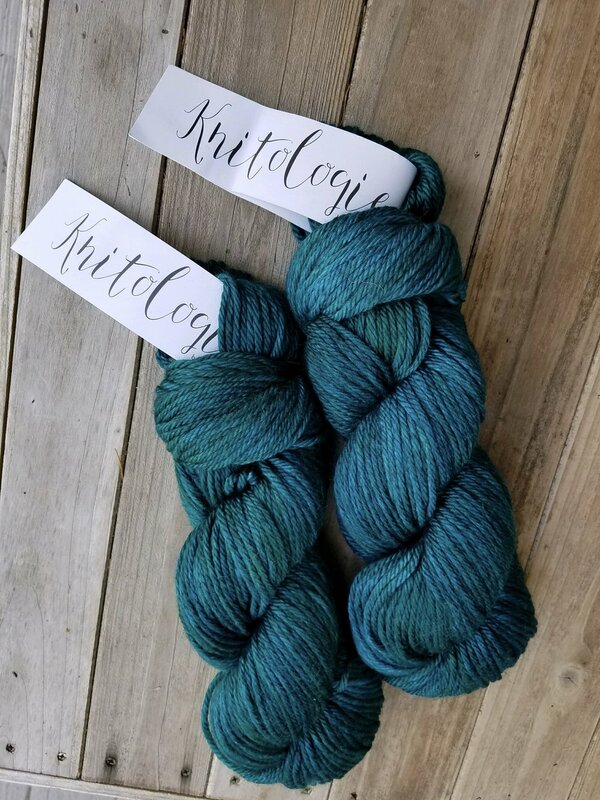 You can get your hands on this yarn by signing up here. The original KnitCrate membership is valued at $63 but you only pay $24.95. This includes everything I mentioned above AND worldwide shipping. You pay month to month and can cancel or switch your membership (they offer other fun crate subscriptions as well!) at any time. Be sure to use the code BUCK20 to receive 20% off your first month. KnitCrate has posted a blog entry addressing a concern some members have had with their February yarns bleeding here. It's not uncommon with such deep, heavily saturated colors of indie dyed yarn. When it comes to indigo, they use the term "crocking." It's basically excess dye that didn't affix to the fiber. This post does an awesome job of addressing the issue and how to deal with it. *This post contains affiliate links. To learn more about what that means, please read my "About Me" page.